I think I’m starting to bother myself and others with my holiday obsessing. It’s not limited to summer holiday either. Oh no. I’m also obsessing over New Years Eve and beyond. Yes, I do know it’s only June. Not great at the whole ‘living in the moment’ thing. Anyway, I decided to channel that obsession into something positive – my June Vibes mood board. 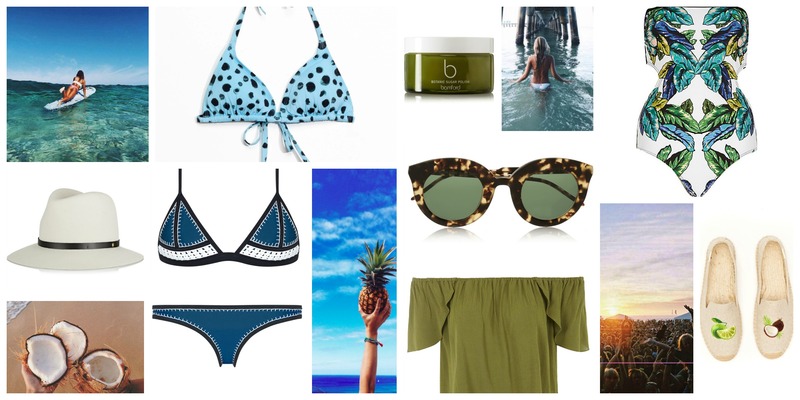 Blues, greens, festival vibes, ocean, pineapple and coconuts. It’s like being inside my brain. You may have also noticed my swimwear obsession lately. I’ve currently got shopping baskets filled on various different websites with all kinds of swimwear. I really need to go back and cull. No person needs 12 new bikinis, 5 swimsuits, 2 kaftans, and inflatable donut ring. At least not all at once! This song has also been on repeat for the last while. It’s literally summer in a song. I’m such a sucker for a good summery remix!